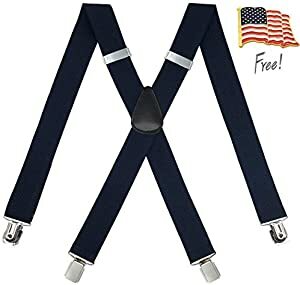 Sweepstakes: Suspenders for Men | FreebieOrBust Freebies! We have a new sweepstakes! Take action on your dreams and register right now. Suspenders for Men – Heavy Duty Strong Clips Adjustable Elastic X Back Braces Big and Tall Men’s Suspenders. The odds of you winning are 1:600. They are offering up 1 prizes. Sweepstakes hosted by Amazon and MEUUT. Good luck! Make visiting our platform part of your morning ritual, and stand a chance to win big!